A Scientific Guide to Seeing Fairies. A fragment. We clearly recognize in this theory the playful tone for which the author of Alice’s Adventures in Wonderland was famous, and it explains a lot regarding Alice’s sighting of a talking rabbit in a waistcoat on a sunny summer afternoon. But it also reveals another, less well known side of the versatile man whose real name was Charles Lutwidge Dodgson. The Oxford mathematician and Anglican deacon – perhaps not altogether surprisingly – also maintained a profound interest in the ‘sciences of the mind’. He was a keen scholar of theories of vision and perception and owned an impressive number of textbooks on scientific and medical, but also on supernatural, perspectives on the subject. The fact that Carroll read science and had an interdisciplinary appreciation of the mind is interesting in itself, but it also raises a number of questions. For instance, what, if anything, does this tell us about his fiction, about Victorian fantastic fiction in general, or about Victorian science? And why, when I’m making all this fuss about science, am I writing a post about fairies? 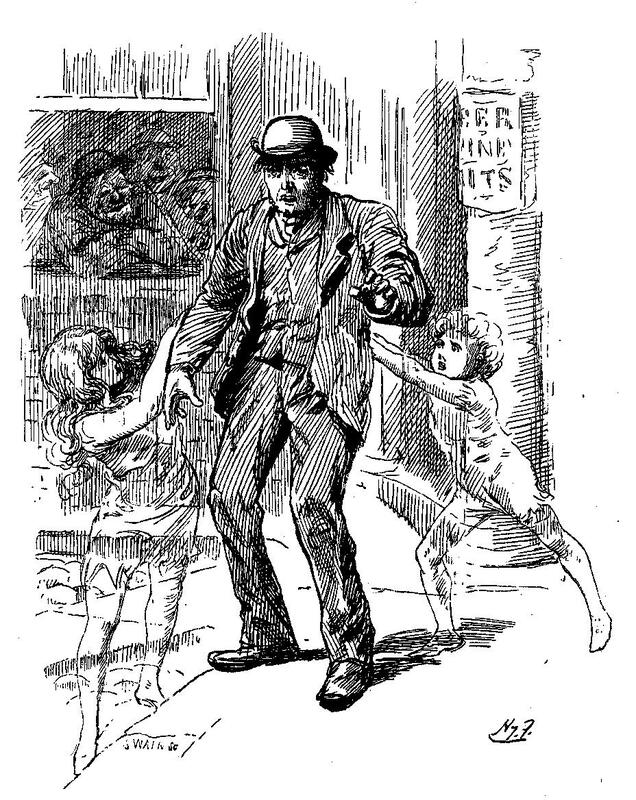 Carroll’s celebrated Alice’s Adventures in Wonderland (1865) and Through the Looking-Glass (1872) have been frequently linked in popular culture to all possible sorts of fantastic visionary phenomena – from visions that spring from mental illness, to migraine and drug-induced hallucinations (a theory particularly popular in the 1970s, and made famous by Jefferson Airplane’s song “White Rabbit”). More recently, in American McGee’s fantastically narrated video game Alice: Madness Returns (2011) wonderland is in fact a nightmare reliving the trauma the now grown-up Alice suffered from losing her family in a house-fire. [iii] Other connections are to be found in medicine – a neurological condition termed “Alice in Wonderland Syndrome” (also known as Todd’s Syndrome) describes a childhood disorder during which sufferers see the world around them seemingly shrink to the size of a dollhouse. [iv] All this implies that there is clearly something to be said about the connection between fantastic visions in literature and brain sciences. Putting the pieces together, these statements throw light upon how Carroll, as a scientist writing fantastic fiction, may have skirted the same edge of actual science and its metaphoric implications, and explored the tensions between the two. In fact, Carroll’s works are exemplary of other nineteenth century writers. Returning to them yields intriguing insights about the interdisciplinarity of the Victorian psychological imagination. This paragraph stems from the preface to Sylvie and Bruno Concluded (1893), part two of the novel Sylvie and Bruno (1889) into which Carroll’s earlier fairytale had matured. It was written as an explanation of the alternative states of consciousness in the novel which contemporary readers struggled to comprehend. This concept illuminates Carroll’s understanding of the functions and potentials of vision and consciousness in their waking and resting states, and thus inherently also reveals reservations and anxieties he may have had about other scientific, religious or even spiritualist approaches. Most importantly, however, it introduces to the equation another state of consciousness between waking and sleeping, which plays a significant role in the visualization of those anxieties through which they almost unnoticeably sneak into the very focus of the novel. Theories of “gradient consciousness” such as that constructed by Carroll were common in the Victorian period and could be found in the works of all great contemporary “mental physiologists”, such as Henry Holland, G.H. Lewes, and later William Benjamin Carpenter and Herbert Spencer (all of whose works were read by Carroll). Victorian psychology was grappling with definitions of ‘reliable’ consciousness, attempting to delineate stages of consciousness on a spectrum stretching from full waking to complete unconsciousness in death – and thus attempting scientifically to cover an immense range of philosophical concepts. The aim was to determine the borderline, if indeed such a line existed, ‘that separates the healthy actions of the mind from these of morbid nature.’ Such a cut-off point was in theory meant to tell apart the healthy perception of reality from the “morbid” visions of the unreal, that bordered on either insanity or superstition, each of which came with their own set of cultural implications. In this light, Carroll’s nowadays rather neglected Sylvie and Bruno – a a realist fairy-story (!) – offers an interesting perspective upon this subject. But first a few words on the plot: the novel is the first-person account of two seemingly separate stories: one set in Victorian England, and another recounting the adventures of the fairy-siblings Sylvie and Bruno in Fairyland. 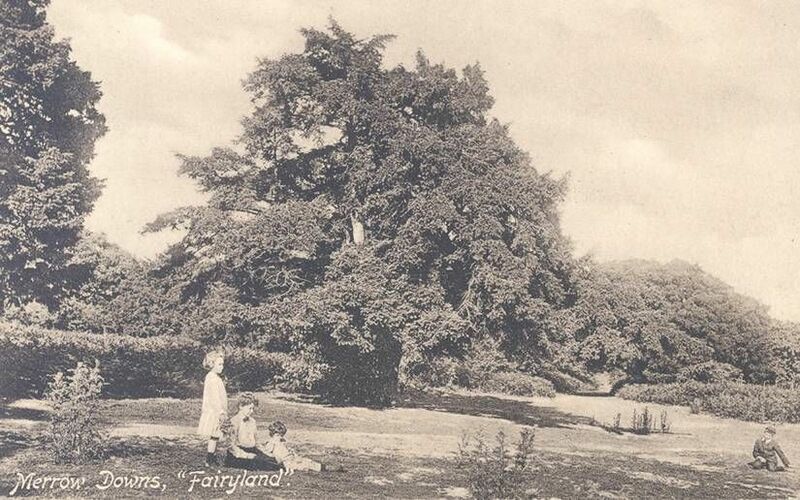 The ‘fairy-part’ of the story is revealed to the narrator (in the realist strand) in frequent, and unannounced visions – and thus the story rather chaotically shifts between reality and the visions of Fairyland. The protagonist is at first, either in state (a), and thus awake, or, in state (c), seemingly, firmly asleep but as the narrative progresses, reality and Fairyworld converge, so that the narrator eventually has trouble escaping the “eerie” state (b), in which he is both aware of his surroundings and the presence of fairies. Thus the eerie visions are one of the novel’s most interesting features, as the fairyworld relates to issues raised in the narrative reality, and responds in visions that overlap with it. Before considering the content of these hypnagogic visions in more detail, it is necessary to unpack the way in which the physical state that triggers these visions is constructed. Unlike the light-hearted dreams of little Alice and ‘Bruno’s Revenge’, induced by the stifling summer heat, the far more unsettling visions of Sylvie and Bruno are caused by an unspecified heart disease. This may perhaps seem a surprising connection for today’s ways of thinking, but Carroll leaves a clue right at the start of his novel that his approach accurately corresponds to Victorian medical ideas. The novel’s nameless, but clearly semi-autobiographical narrator, peruses a book on his train journey entitled The Diseases of the Heart. Consulting the book itself (after having checked the author’s own reading list), we thus learn that cardiac disease was believed to be accompanied by ‘losses of consciousness’ and ‘talking under delusions & delirium’ – symptoms ‘observed particularly frequently […] prior to death resulting from the illness.’[x] This suggests, firstly, how the morbidly affected state of consciousness is closely interrelated with the mode of narration, which mimics these symptoms in its unannounced passing out of waking consciousness. Secondly, and more importantly, the likely terminal illness places the narrator not only in the borderland between conscious and unconscious, but also between life and death. Thus Carroll creates a liminal narrative space of uncertainty and suspense, which determines the character of the visions. It enhances the visual perception of the narrator, who is for most of the story the only one who can see the fairies, and makes visible a normally invisible reality – a detail crucial for the interpretation of the text. Carroll was not the only Victorian author who linked fantastic vision to illness, and particularly cardiac disease. This connection is evident, for instance, from the final work of his friend and fellow fantasy novelist George MacDonald, who in Lilith (1895) evokes the disconcerting nightmares of his protagonist, Mr Vane, through an unknown heart disease which affects the brain. Again, his visions do not reveal unrealities, but higher realities invisible to healthy and waking perception, and the further the illness progresses, the more the “other world” becomes visible that indeed governs the world of the living. Robert Louis Stevenson had declared that reading Dostoevsky’s novel ‘was like having an illness’, and as in Sylvie and Bruno and Lilith, his fragmented narrative structure imitates visual perception disturbances affected by illness, the ‘losses of consciousness’ that mark the final stage of such an illness. His theory of apparitions applies to Carroll’s otherworldly fairies to the same extent as to MacDonald’s spectral guide, Mr Raven, and underlines their role as interpreters of reality. They are fragments of the other world, which, inaccessible to the living and waking human consciousness, holds knowledge sought after, and yet, unattainable to beings of this world. Limitations emerging in scientific inquiry highlight the importance of fantastic fiction as a speculative medium to reflect, in an imaginative manner, on possible ways of answering the questions to which science could not yet offer answers – a function, I would venture to claim, it still often attempts to fulfill today. In the light of this context, Sylvie and Bruno, along with many other works in the same vein, are certainly worth reconsidering, due to the extensive references quoted throughout from the above scientific works. The novel is composed of an interplay of realistic debates on philosophic matters (which Carroll claimed had occurred to him in real life), and a fairy-response. When the narrator raises the question of how thoughts can suddenly, and without prior active reflection, enter into his consciousness, a heated discussion ensues. One speaker reflects on whether the human mind is possibly like the hive mind of bees, whereas the following discussant brings up Herbert Spencer’s theory of environmental influence on the evolution of species, to justify a possible influence of the environment on the human mind and thus (im-)moral human actions. “Unconscious Cerebration” as either a cognitive-psychological or a supernatural phenomenon is considered next, and finally dismissed entirely by the scientific materialist. The visions of the fairies subsequently respond to this discussion, revealing in a vision that, as part of a higher moral principle, it is them who guide the moral as well as immoral thoughts and actions of the world. Their influence, however, is only perceivable to the narrator (and to the reader through the novel’s illustrations which imitate his affected, or rather enhanced, vision). 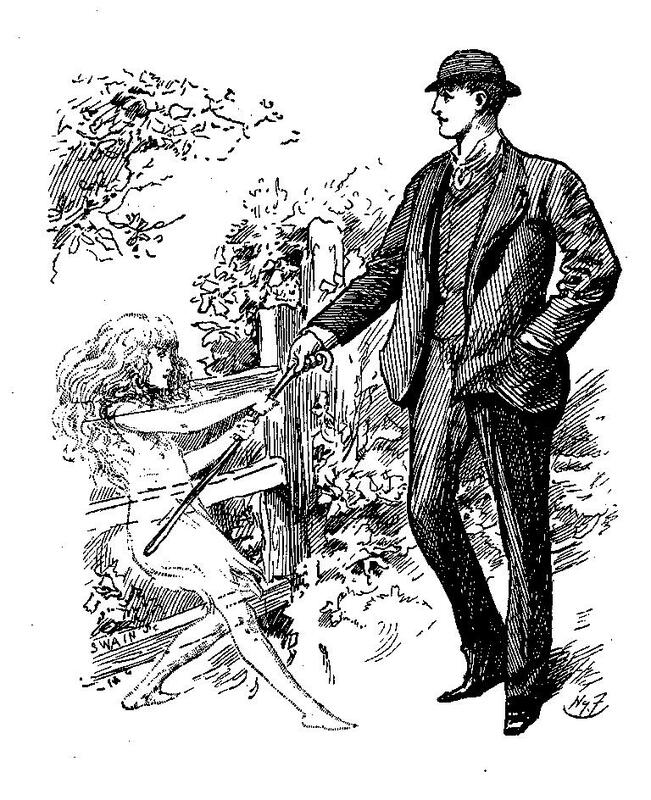 Thus the two Sylvie and Bruno novels touch upon many deep-rooted insecurities that arose from an age of scientific progress and social and philosophical changes in thinking – and thus, to put it in Bulwer-Lytton’s words, “in Fairy-Fiction drest” Carroll’s novel gives “admission to “truths severe”. The fairies “choose” the path that will reunite the lovers. Sylvie and Bruno lead the worker to the moral decision not to spend his wages at the Public House. Ever since their publication, MacDonald’s and Carroll’s final works have been dismissed by critics as too long and confusing, tedious and too full of seemingly endless discussion on Victorian philosophical matters. But this is, I would argue, exactly the part that makes them interesting for the science-historian reader. We must first ask the questions – why and to what end did the authors choose to write like this? MacDonald and Carroll created intriguingly complex, multi-layered – and radically modern – narrative patterns. The fragmented morbid visions reflect directly on the psychological theories and underlying fundamental philosophical questions on human identity that preoccupied the minds of Carroll, MacDonald and many others. . Through their fantastic nature these imaginative visions allow an interdisciplinary exploration beyond the conventional paths of, for instance, scientific or religious enquiry. From Carroll’s library we can gather that such pathways extended to many (from a modern perspective) non-scientific and even occult disciplines, to spiritualism, Christian mysticism, medieval astronomy and even Buddhism. Carroll often bemoaned that Victorian science was “not yet complete”, but intentionally avoided resorting to Spiritualism or Mesmerism as narrative alternatives, as Wilkie Collins and Charles Dickens had done – as they had, to many, become polarizing opponents to real science. Instead he veiled his explorations into possible ways of external interferences with human actions (read: any not-yet-scientifically-classified kind of influence)in the narrative disguise of ‘fairies’ , which he explicitly did not believe in, to explore the “what ifs” of cognitive sciences. And as torturing questions called for a new kind of torturing and unconventional narratives, the circular structure of earlier literary dreams disintegrated, and more light-hearted tongue-in-cheek dream-fantasies such as Alice’s Adventures of the mid-nineteenth century, gradually made way for the visions of the fin de siècle malady of increasing insecurity and uncertainty. But as much as they made room for kaleidoscopic explorations and speculations, the fundamental questions went unanswered, and the literary visions they had triggered remained unconcluded. Thus their dreamers were left stuck between two worlds, with nothing but tantalizing glimpses of evidence that there was something like an answer out there. The mere fragment of a solution is, however, irreconcilable with reality, and thus as inconclusive as a fairy-vision on a hot summer’s day. In Sylvie and Bruno, the fairies’ appearance that confirmed so many of the narrator’s own transcendental speculations is kept secret by this heart-sick individual, together with the insights they have allowed him – leaving the conflicts, which a traditional dream-narrative aims to reconcile, traumatically unresolved. Franziska Kohlt is a DPhil Candidate at Brasenose College at the University of Oxford, and a graduate tutor in English literature at St Anne’s College. She is working on a thesis exploring visions experienced in alternative states of consciousness in nineteenth century science and their portrayal in fantastic literature, specifically in the works of Lewis Carroll, George MacDonald, Charles Kingsley and H.G. Wells. Franziska’s research interests also lie in Russian and German literature, and she has further written articles on fantastic visions, time travel and death in Charles Dickens’s Christmas Carol and American McGee’s Alice Madness Returns. [i] Lewis Carroll, Lewis Carroll’s Diaries: The Private Journals of Charles Lutwidge Dodgson (Luton: Lewis Carroll Society, 1993), VI, p. 354. [ii] Lewis Carroll, ‘Bruno’s Revenge’, Aunt Judy’s Magazine (London: Bell and Daldy, York Street, Covent Garden, 1868), p. 65. [iii] American McGee talks about this at length in an interview published in a special issue of The Lewis Carroll Review (Issue 48, November 2012). [v] W. John Smith, ‘Dodgson’s Scientific Interests with Reference to the Books in His Library’, Jabberwocky: The Journal of the Lewis Carroll Society, 14 (1984), p. 8. [vi] Gregory Tate, The Poet’s Mind: The Psychology of Victorian Poetry 1830–1870 (Oxford: Oxford University Press, 2012), p. 4. [vii] Martin Willis, Vision, Science and Literature, 1870-1920: Ocular Horizons, Science and Culture in the Nineteenth Century, (London: Pickering & Chatto, 2011), p.2. [viii] Nicola Bown, Fairies in Nineteenth-Century Art and Literature (Cambridge; New York: Cambridge University Press, 2001), p.3. [ix] Lewis Carroll, Sylvie and Bruno Concluded. The Complete Illustrated Works of Lewis Carroll (London: Chancellor, 1982), p. 441. [x] Austin Flint, A Practical Treatise on the Diagnosis, Pathology, and Treatment of the Diseases of the Heart (Philadelphia: Blanchard and Lea, 1859) pp. 305;312. [xi] Fyodor Dostoevsky, Crime and Punishment (Oxford: Oxford University Press, 2008), p. 277. “A scientific guide to seeing fairies” – a blog I wrote for REMEDIA network. Perfect if you always wanted to know where in my research on 19th ct science and literature the fairies come in! This is very interesting. Also, I noticed you mentioned ‘MacDonald’s spectral guide, Mr Raven,’. Could there be some connection with Lewis Carroll’s riddle, ‘Why is a raven like a writing desk’?